A San Francisco jury on August 10th, 2018, found Monsanto liable for a school groundskeeper’s non-Hodkin’s lymphoma that he said developed after years of applying the company’s trademarked Round-Up weed killer. 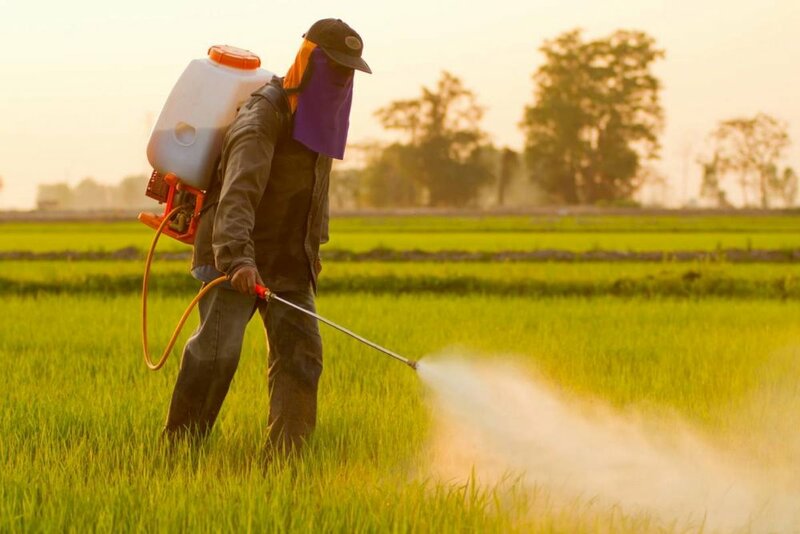 The $289-million award in San Francisco County Superior Court is certain to add momentum to a multi-front battle to ban Round-Up’s main active ingredient, glyphosate. The compound is applied to millions of acres of crops, many of which have been genetically modified to withstand the herbicide. According to CNN, Johnson, 46, applied Roundup weedkiller 20 to 30 times per year while working as a groundskeeper for a school district near San Francisco, his attorneys said. California growers also applied it to more than 200 crops across 4 million acres, including 1.5 million acres of almonds, making it their most widely used herbicide, according to the California Department of Pesticide Regulation. This case is the tip of the iceberg, as there are now over 5,000 cases filed against Monsanto, now a subsidiary of Bayer. According to MIT research scientist, Stephanie Seneff, Glyphosate is possibly “the most important factor in the development of multiple chronic diseases and conditions that have become prevalent in Westernized Societies.“ A report found in the Journal of Organic Systems, 9(2), 2014 reveals the correlation curves of most chronic diseases, like diabetes, kidney failure, autism, Alzheimer’s, Parkinson’s, obesity, and cancers, since the introduction of Genetically Modified Orgnisms or Genetically Engineered crops from in 1996 to 2010. Detoxination Wellness Centers can now test for glyphosate levels and offer detoxification from this insidious chemical. Agribusiness, forestry, and landscaping employers should seek to minimize their liability exposures by randomly sampling their farm workers, groundskeepers, forestry workers, and associated employees.